This volume explores the challenges and possibilities facing contemporary theological inquiry. Produced in honor of Wallace M. Alston, the book is framed around the areas of discussion that Alston, as director of the Center of Theological Inquiry in Princeton, New Jersey, has diligently placed at the forefront of Christian reflection. Written by some of today's leading Christian pastors and theologians, these insightful chapters probe topics of interest to both the church and the academy. In the first section Denise M. Ackermann, Gerhard Sauter, William Schweiker, Max L. Stackhouse, Michael Welker, and Carver T. Yu examine cultural, social, political, and ethical challenges to Christian theology. In the second section Don Browning, Brian E. Daley, Botond Gaal, Niels Henrik Gregersen, John Polkinghorne, and Dirk Smit discuss theology's ongoing dialogue with the sciences and the humanities. In the third section Milner S. Ball, L. Ann Jervis, John S. McClure, Allen C. McSween Jr., Patrick D. Miller, Jurgen Moltmann, Fleming Rutledge, and Virgil Thompson illuminate the role of theology in preaching and teaching. In the fourth and final section of the book David Fergusson, Thomas W. Gillespie, Colin Gunton, Cynthia A. Jarvis, Robert W. Jenson, J. Harold McKeithen Jr., A. J. McKelway, Daniel L. Migliore look at several cutting-edge themes drawn from Reformed and ecumenical theology. Loving God with Our Minds unites voices from the various enterprises of the Center of Theological Inquiry, from different churches, from different theological and academic disciplines, and from different countries across the globe. 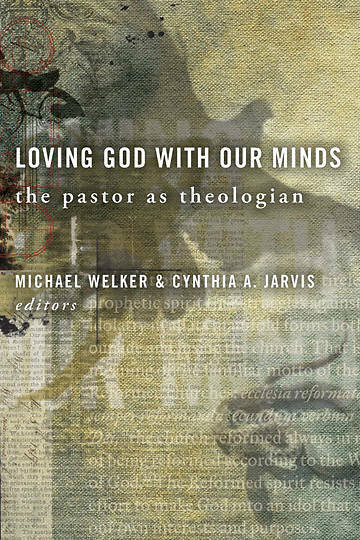 The book is thus a bouquet of diverse perspectives mirroring what is so central and admirable in Wallace Alston and reflecting what he so desires to see among fellow Christians and pastor-theologians -- loving God not only with our hearts but also with our minds.